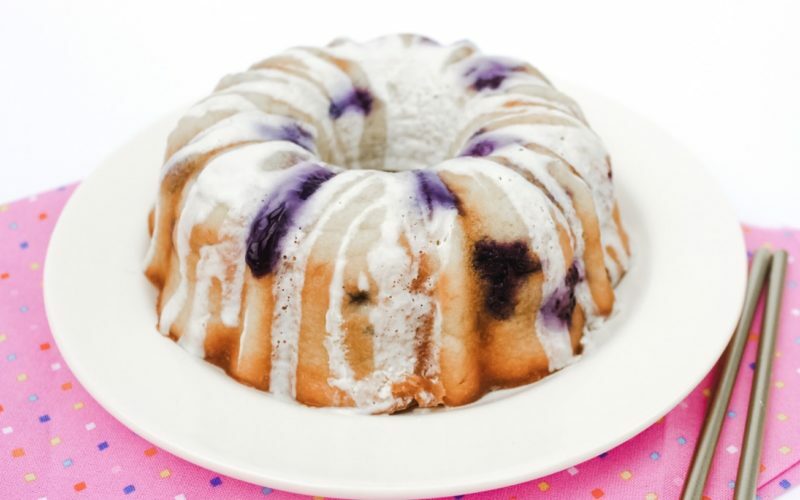 It is just a hop, skip, and a jump away from Easter Sunday! 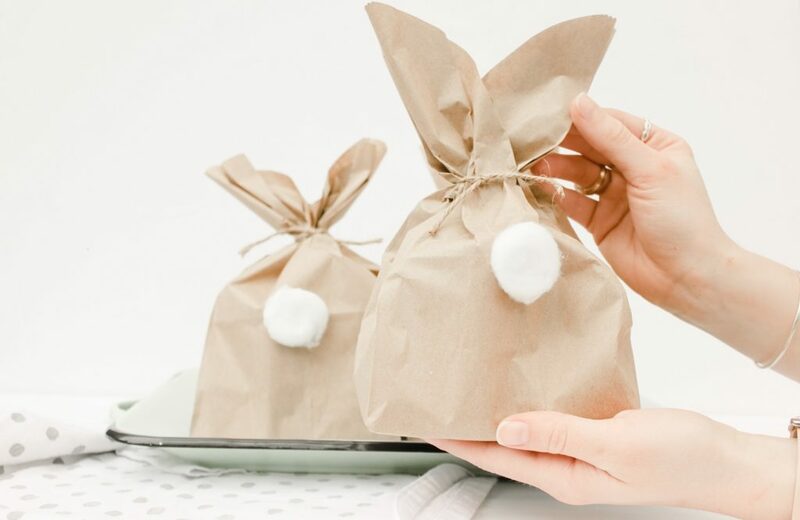 I have the perfect quick and easy DIY for the little ones to pass out at Sunday school or for them to take home after the egg hunt. 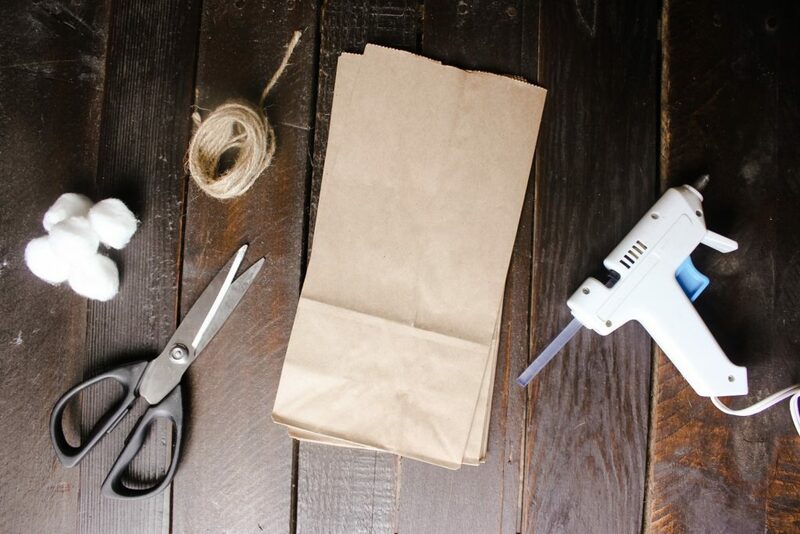 All you really need are brown paper lunch bags, cotton balls, and string. 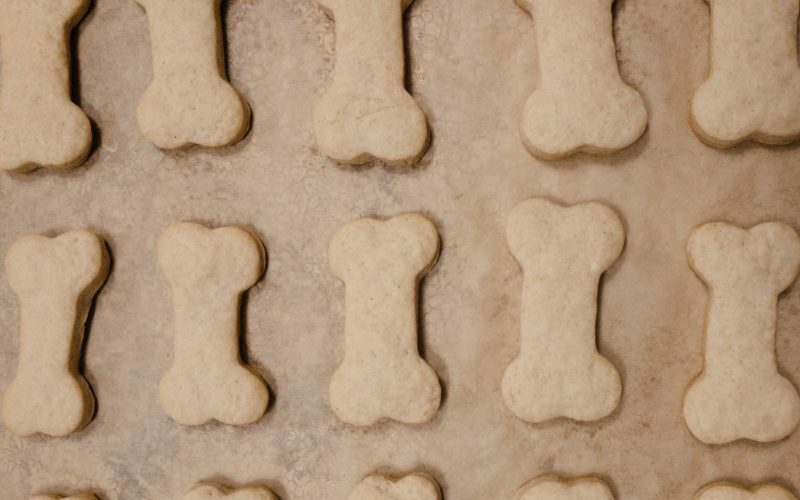 Be sure to have everything on hand before you begin and this process will go by lickidy split! 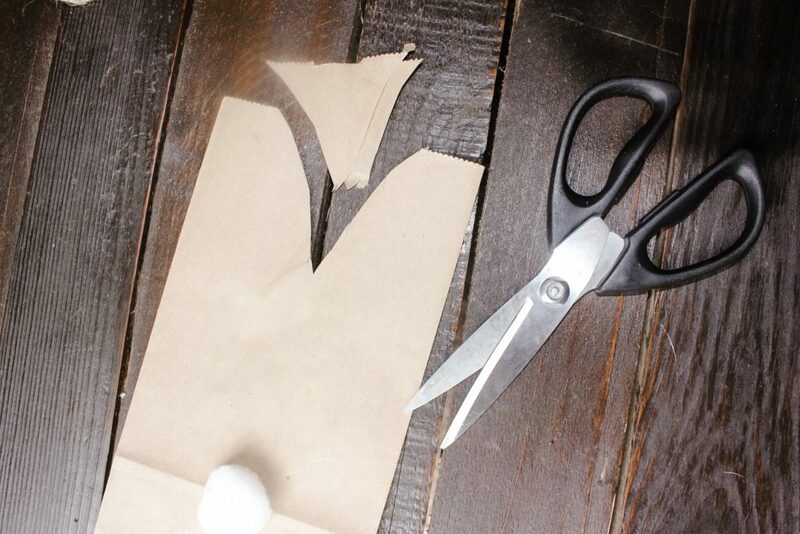 Step 1: Cut a triangle out of the opening of your brown bag to form your bunny ears. 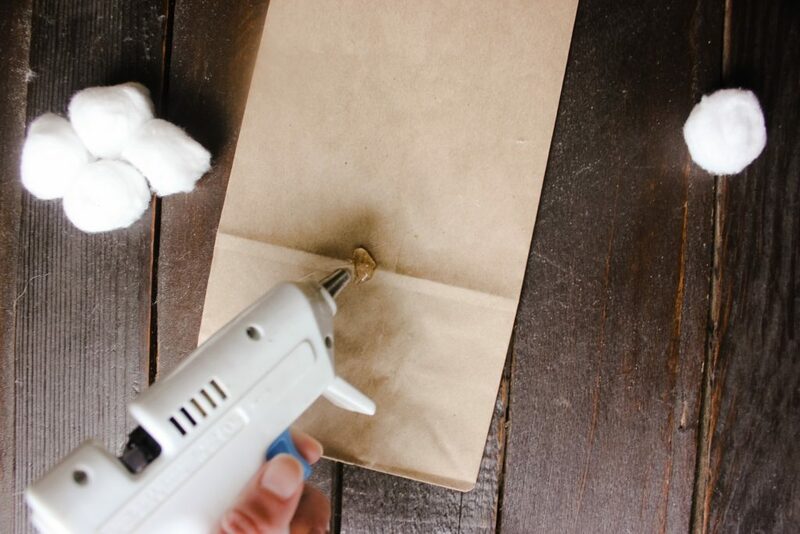 Step 2: Place a dot of hot glue ¼ of the way up your brown bag and place your bunny tail. After though* I thought it would be so cute to have pink bunny tails for the girls and blue for the boys. 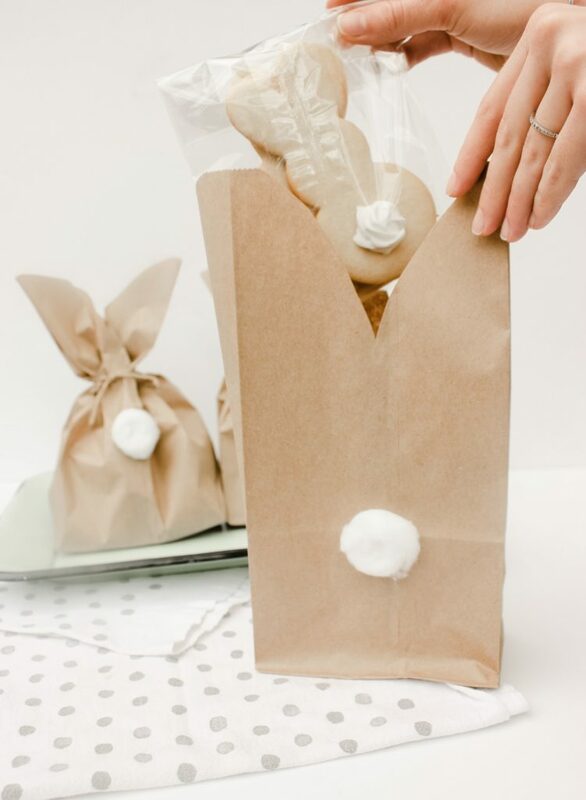 Step 3: Open your brown bag to standing and fill it with your treats. 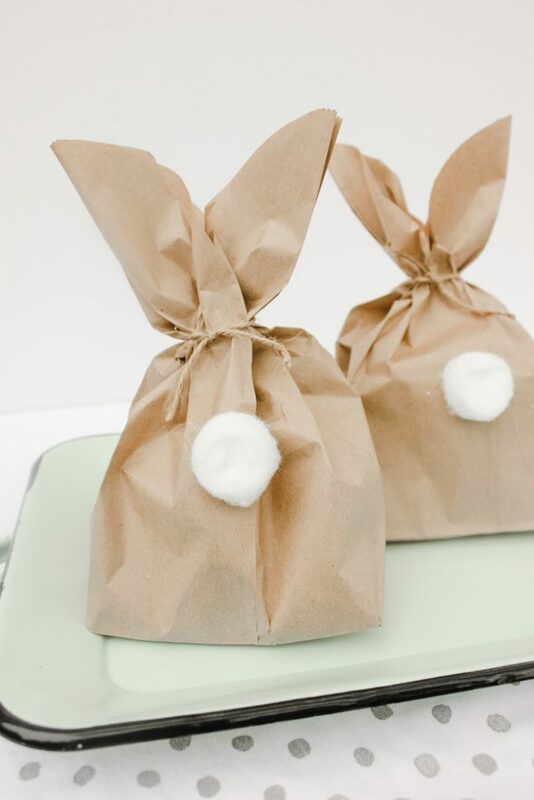 Step 4: Pinch your bag right at the peak of your triangle to form the bunny ears and tie the bag off. Now you have a bunny bag! We are feeling very grateful about this weekend because Zac and I are getting to see all of our family, his on Saturday and mine on Sunday. I hope you all have a blessed Easter and enjoy it with family and friends.